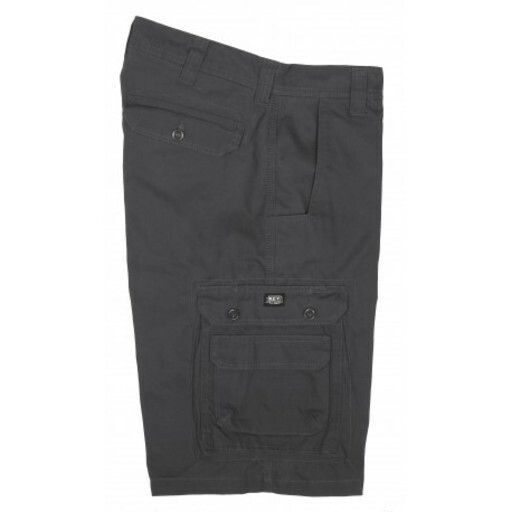 With these KEY Cargo Pocket Shorts you will experience comfort and durability with abundant storage options. The Cotton Rip Stop Fabric is designed to be tough, yet is light enough for summer. Also, the fabric is garment washed to make it soft to the touch for superior comfort. With triple needle stitching, reinforced front pockets and a double bottom pocket bag, this cargo short is even more durable. The back pockets are welted for style and with ten total pockets, you can spread out your essentials to avoid bulk. You can count on KEY for Comfort and Durability.